Red Lens Media has consistently been at the forefront of the videography industry since it was founded in 2012. 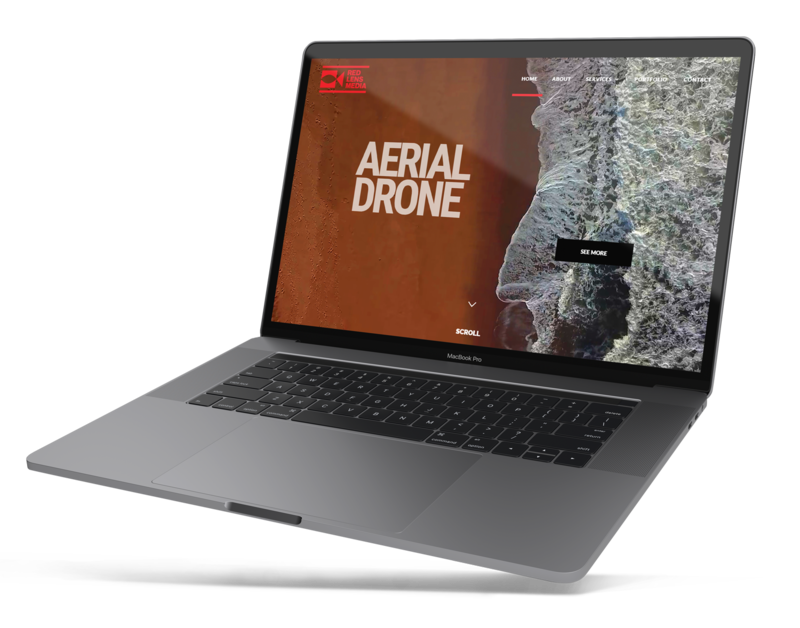 The company has a reputation for producing quality, “cinema-like” content and specialises in videography services for weddings, social media, live events, music videos and aerial drone footage. 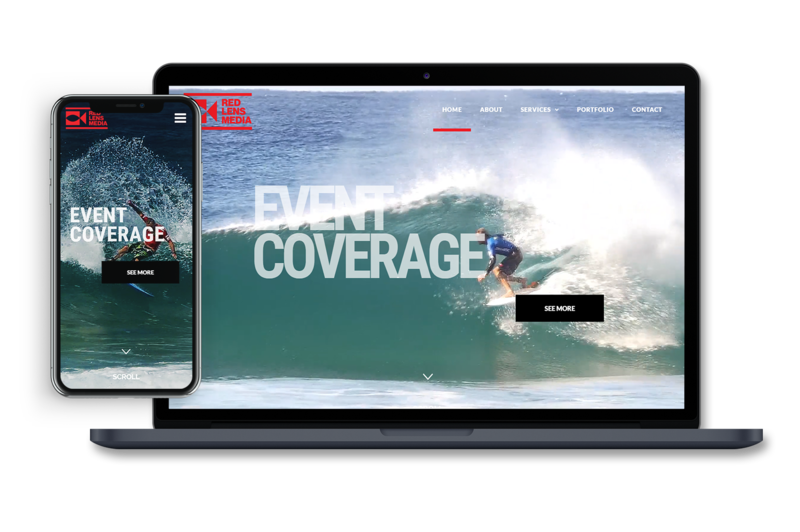 More than just designing a responsive website, we worked on a mobile-first strategy to ensure the site looked beautiful and loaded quickly on mobile devices. We put the video elements at the heart of the website design to best showcase Red Lens Media’s work. To achieve this we edited and digitally enhanced the footage to create that all-important movement. By bringing the various elements together, we designed a bold, dynamic and engaging website that invites visitors to explore the company’s services. Red Lens Media does some amazing videography and drone camera work. The challenge for the company’s director, Brett Geel, was that the high calibre of his work was not being properly portrayed on his existing website. Moreover, he needed a site that would grow along with his business. The saying goes that a picture is worth a thousand words. If so, then what is a moving picture worth? From a design perspective, the mission was clear – to create a “shop window” for Red Lens Media that enabled Brett and his team them to show off their best work. And it worked, thanks to scrolling banners that highlight the company’s core offering using edited video in a “highlights reel”. Keeping in mind the importance of site speeds on mobile, we developed a stripped down responsive site with simple navigation and imagery that doesn’t sacrifice on any of the detail of the desktop version.  Overall, the site is bold and fresh and easy to use. 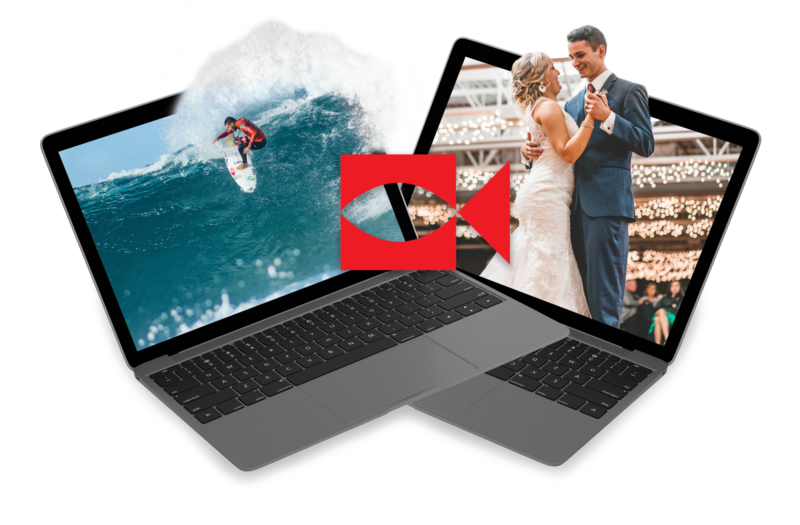 The portfolio shows off the expertise of Red Lens Media’s videography service – from TK and Palesa’s stunning wedding nuptials to the behind the scenes action at the Ilembe Invitational surfing competition.